First, from the Server dashboard click on the Server Name on which server you want to install the app. Thereafter click on “Add App” button on the upper left side of the screen to add the desired app to your server. Select App User – choose the user of the app. If you haven’t created any user, SetupServer will take it as a default user as ‘setupserver’. 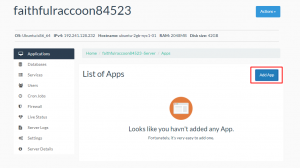 If you want to create your own ssh user, see our documentation – How to create SSH user? 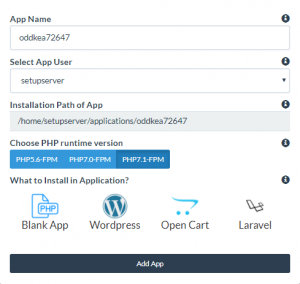 Choose PHP runtime Version – choose desired PHP version on which you want to run your application. Choose Installation App – choose the app for installation from the list. 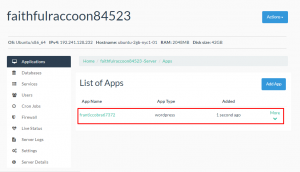 For eg, WordPress, OpenCart etc. 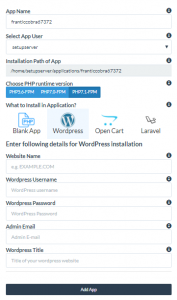 After filling the form, Click on “Add App” button to install WordPress. 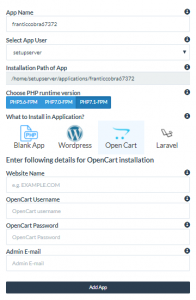 After filling the form, Click on “Add App” button to install OpenCart. 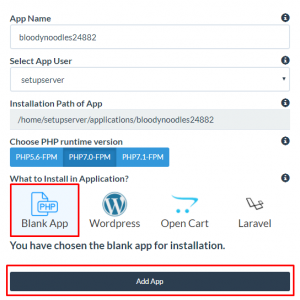 Choose Blank App and click on “Add App” button to install Blank PHP Application on your Server. Once your installation is complete, the page will be refreshed and your app will be displayed on the dashboard.